How will I get from the hospital to Waterfront? Typically, the hospital social worker or case manager will arrange transportation for you and then pass along the information to you, your emergency contact and Waterfront. Please note the cost of the transportation is not covered by Medicare or insurance. The hospital social worker or case manager can give you cost information. What happens when I arrive at Waterfront? Will my medications be at Waterfront? What if my physician doesn’t come to Waterfront? Some physicians do not follow their patients in rehabilitation/skilled nursing/transitional care. If that’s the case with your doctor, we have a list of several expert physicians from which you may choose. You will be asked to follow up with your primary care physician after your discharge from Waterfront. What if I am too weak to participate in my therapy? Our goal is for you to get better and to return home safely. Your therapy program will be designed specifically for you. We want to see you succeed and will make adjustments to your plan as necessary. Yes, Waterfront typically offers computers that you can use. Many of our locations also provide free Wi-Fi in case you wish to bring your own electronic devices. In addition to group programs, we offer individual activities to suit your interests. We encourage you to participate in the daily life of Waterfront as much as possible. What if I need special equipment when I am discharged? Our social services director or case manager will coordinate needed durable medical equipment prior to your discharge from Waterfront. Most necessary equipment ordered by the physician is covered by Medicare or insurance. With your permission, a Waterfront representative may contact you after your discharge. Our goal is to ensure you are safe and comfortable at home. 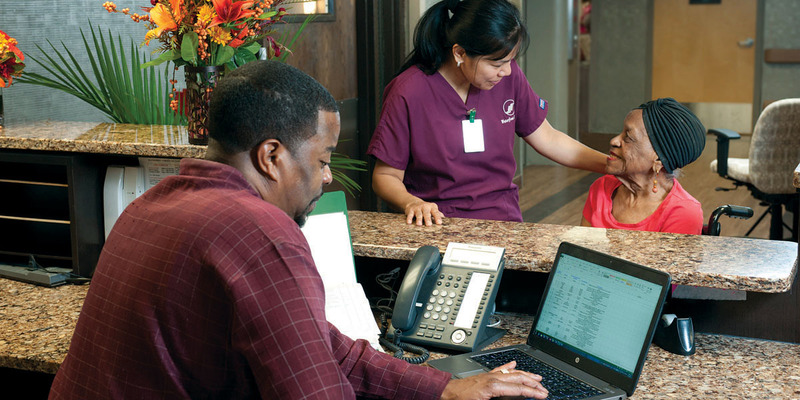 Waterfront offers many home health and private duty nursing services that can further assist you. Are you having an upcoming surgery? Reserve your room today! Set up an appointment to take a tour or speak with a representative. Reservations are recommend as space is limited. 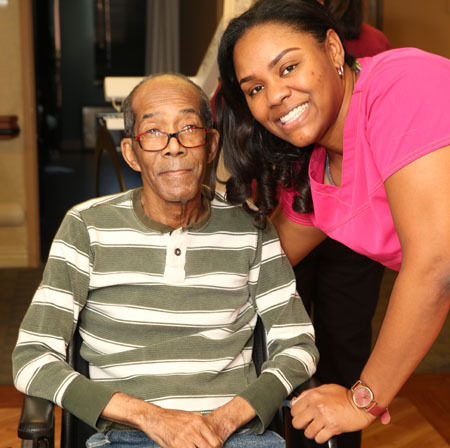 Dynamic Healthcare is a network of nursing and rehabilitation facilities with many years of service throughout Chicagoland and Northern Illinois. Our skilled and caring staff will treat you or a loved one with love and respect and assist in living a better quality of day-to-day life.